Scott Southworth graduated with Distinction from UW-Madison with a Bachelor of Arts degree in 1994 and received his Juris Doctor with Honors from the University of Wisconsin Law School in 1997 with emphases in Constitutional Law and Juvenile Justice. In 2004, Scott Southworth was elected District Attorney for Juneau County, in Mauston, WI, where he prosecuted homicides, crimes against children and other major felonies. In 2010, Scott helped spearhead the effort to create Veterans Treatment Courts around Wisconsin to address criminal behavior by veterans directly connected to their combat service. In 2000 Scott served as the lead plaintiff in the landmark U.S. Supreme Court decision in Southworth v. The Board of Regents of the University of Wisconsin. Scott serves as a Military Police Officer with the Wisconsin Army National Guard in the rank of Major. Scott Southworth served as the commander of four separate units, to include the 32nd Military Police Company. He led the 32nd on a deployment to the Middle East in support of Operation Iraqi Freedom, maintaining responsibility for the rebuilding of the Iraqi Police Service (IPS) in northeast Baghdad in 2003-2004. Scott personally captured the commanding general of the Iraqi Army in charge of Baghdad during the war and established a new training program for Iraqi police investigators. For exceptional wartime service, he received the Bronze Star Medal, the Combat Action Badge, Military Outstanding Volunteer Service Medal, Iraq Campaign Medal and Global War on Terrorism Service Medal. During his military service in Iraq, Scott met Ala'a Eddeen, a 10-year old boy with cerebral palsy at the Mother Teresa orphanage in Baghdad. In 2005, he returned to Iraq to bring Ala'a to the U.S. and later adopted him. In 2012, Scott adopted 7-year old Rumen, an orphan from Bulgaria. 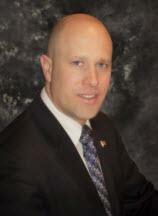 Currently Scott Southworth works as a criminal defense lawyer and adoption lawyer in the Mauston / Wisconsin Dells area. He is willing to represent clients with criminal related issues in the counties of Juneau, Monroe, Marquette, Sauk, Jackson and Adams.